I've pretty much come to expect nothing from mall food. I mean, outlets that are generally good seem to just take mall crowd for granted and they get this, "You don't have much options so just eat the food without complaining," attitude. Slowly even the stand-alones inside the malls, the ones outside the food court have started to get this way. So as much as possible, I try not to eat in a mall, unless it is something I know is really good. A CPK for example! So, I don't know if it was the very low expectations or what, but the pasta and iced tea at Coffee Bean and Tea Leaf at Phoenix Market City was quite good. 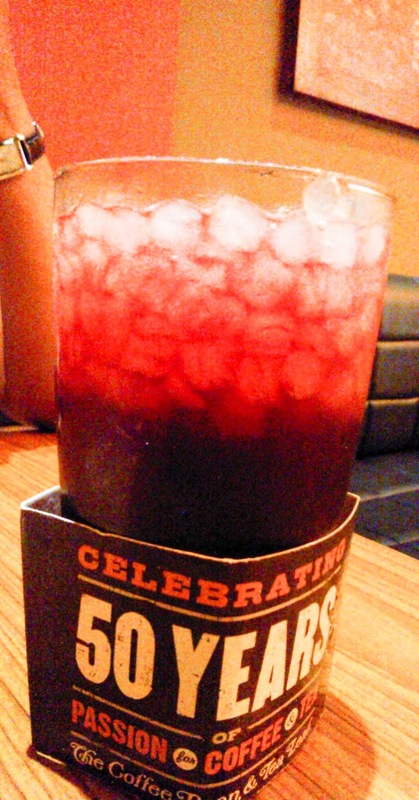 The berry iced tea, unlike the diluted tea and berry essence in most 'mall shops', was quite good here. The balance between the berry flavour and the tea was just right! 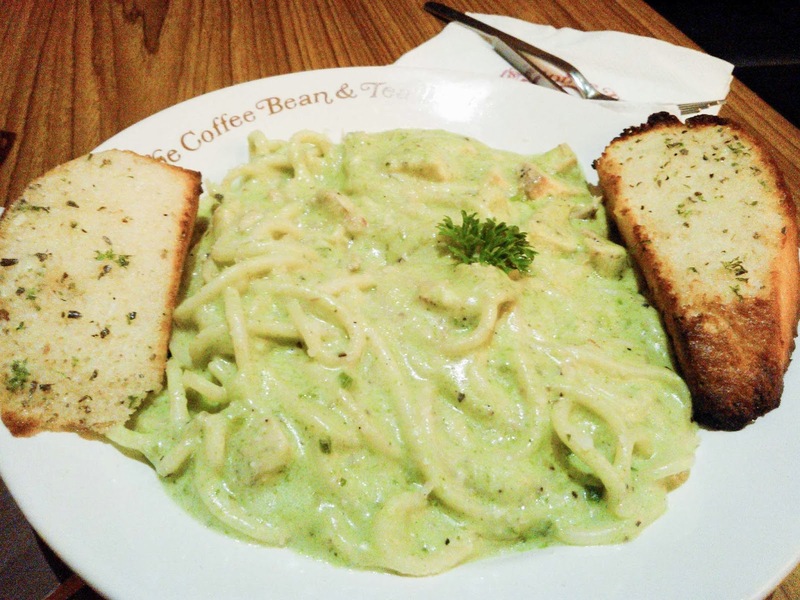 The pesto pasta with the garlic bread was quite enjoyable too. A place like this should ideally have a stand alone in the city, like in Nungambakkam! I would go more often if they did, but while if in Phoenix Market City, this would a choice to go for a quick bite, I won't be driving all the way there for this pasta! But this time I only sniffed at their Tea Leaf, the next time I am there, I will try to get a whiff of the Coffee Bean! CBTL is on the ground floor, I think. The mall is too huge for orientation!